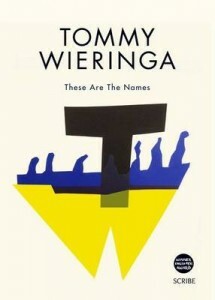 The shortlist for the 2012 Man Booker Prize has been announced. The winner of this year’s prize will be announced at a dinner in London on Tuesday 16 October. Good luck to the shortlisted authors. No one told me this book would be so…well, awesome. Ok, so I lie. Many bloggers and critics have written about this book since it was first published in 2005. It has its haters and its not-likers, of course. But for the main part it’s been well-received, and when I found out it was being made into a movie starring cute-as-a-button Carey Mulligan and the gorgeous Keira Knightley I just had to get on the wagon. I guess “shortlisted for the Man Booker Prize” emblazoned across the cover was probably some indication that the book would be, if not enjoyable, then thought-provoking. I had previously categorised Kazuo Ishiguro as one of those Japanese authors that I really should be reading but I don’t read much of, like Haruki Murakami and Banana Yoshimoto. I think I already had in mind that Kazuo’s works would be a little bit “kuh-razy”, which I have to be in a certain mood for. But while Mr Ishiguro is crazy – it’s in all the best ways, I promise. Never Let Me Go begins with ‘Kathy’ at 32 years old, reminiscing about her idyllic childhood at Hailsham, where the children are encased in their happy, painless bubble; provided with everything to keep them physically healthy and encouraged in artistic and athletic pursuits. Hailsham seems like your ordinary Toffee-English boarding school for the privileged few, but there’s something a little ‘different’ about it that the reader can’t quite put their finger on, in the beginning. When we’re finally let in on Hailsham’s little ‘secret’, the book becomes a bit of a philosophical mind-bender. What makes this story so interesting, so absolutely heartbreaking, is its refusal to wallow in sentimental bull dust. The subject matter is scarily relevant today – the idea of ‘playing God’ is something that civilisation questions with every technological and scientific advance. But it is often the human element that divides us on this issue. Where do we draw the line? Is one human life worth a half-dozen others? Ishiguro handles this issue in an originally subtle way. In fact, its subtlety might be lost on people expecting high, impassioned speeches and a rebellion against the cause. Although it has elements of alternative history, dystopia and science fiction, Never Let Me Go bypasses the expectations of the genres to become its own brand of quality contemporary literary fiction. Was it the beautiful, exacting prose, or the haunting feeling it left me with? Like origami, this book deserves to be admired: a modest creature on the bookshelf, but its fascinating secrets, and thoughts of its construction, lie within the perfect folds. Clearly, I loved it: it’s right up there with The Book Thief for me. Do read it, and let me know how it affected YOU. Villains are so much more engaging when they have a heart, dontchathink? I have been ashamed for too long – Wolf Hall has had pride of place on my bookshelf for months now, and I’ve barely poked it. I only wish I had got to it sooner, because once I picked it up I could not put it down. And it seems like the perfect time to talk about it, what with the 2010 Booker shortlist having just been announced (I can’t believe Mitchell wasn’t picked)! So then: Wolf Hall. The 2009 Booker prize winner is something of an art piece, detailing a vast account of Thomas Cromwell’s rise as the grand vizier to Henry VIII. So often the courts of Henry VIII are the subject of lusty romance fiction novels, with victimised mistresses as bawdy fruit ripe for the picking, and a particular redheaded brute who enjoys hunting, feasting, and aforesaid victimised mistresses. Don’t get me wrong, I love that bodice-ripping stuff. But it can get a little worn. Wolf Hall is of a refreshingly different breed, and Mantel is the architect of a sceptical and calculated court, seen through the beady eyes of one Thomas Cromwell. The novel’s magic lies in the humanisation of Cromwell – his marriage is a business contract, but he comes to love his wife Liz, his boy Gregory and his two little girls. When Liz, Grace and Anne perish of the sweating sickness we don’t see the outward show of stoic, but instead are witness to Cromwell’s grieving thoughts as he makes a show of conducting his daily business. Mantel treats Cromwell’s life unequally – she is particularly attentive to his early years where his father uses him for bloodsport, and then is attentive to his later years under the majestic Cardinal Wolsey, with very little in between. Yet, this deliberate spotlighting results in a fascinating portrait of a guy whose humble beginnings helps him understand the fickleness of power when everyone around him is a glutton to it. The rest of the book is just as impeccably written. And if you expect to see the rise AND fall of Thomas Cromwell, you will be disappointed – the curtain closes when Thomas is at the height of his power in 1535, five years before his downfall and his execution at Henry VIII’s word in 1540. To my mind it is the perfect send-off. You can’t help but feel a little uneasy, like a gypsy reader unsure of her own clairvoyance. Thomas Cromwell, in the closing of Wolf Hall appears as if he will be Henry’s beloved forever. But that’s the draw of power, isn’t it? It makes you omnipotent and thrillingly vulnerable in the same intoxicating breath.